Location: At home in Sydney, Australia. 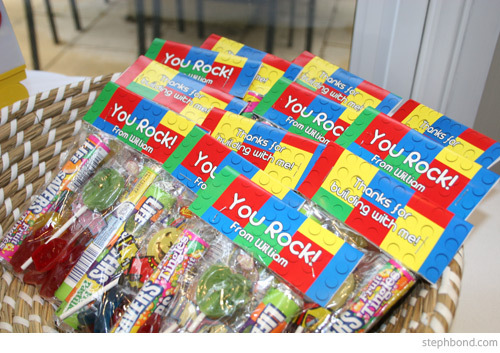 Invitation: Purchased from tinycornerstore on Etsy. 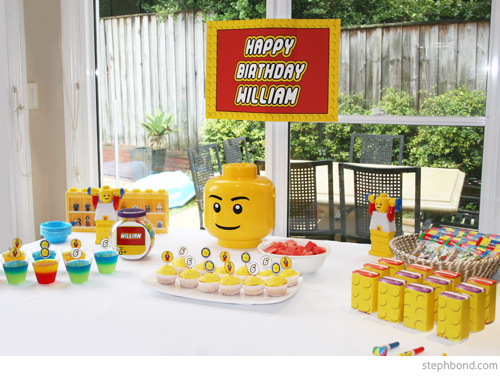 Cake: After much research on Lego cakes, William requested an ice-cream cake! Birthday Boy Wears: County Road Shirt and Shorts, accompanied with exclusive backstage Lego building pass lanyard! Pin-the-head-on-the-mini-figure - an adaption of pin-the-tail-on-the-donkey. Team building challenge - we divided the children into two groups and set the challenge of which team can build the highest tower in the allocated time. 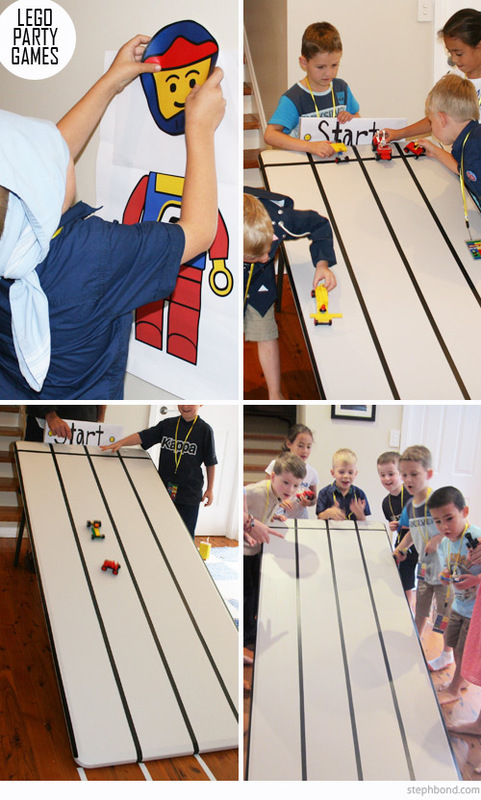 Individual Lego challenge - each child was given a set of Lego Wheels and charged with the task of building the fastest car, which was to be raced on our home made racetrack. This game was such a hit; the children played this for over an hour. 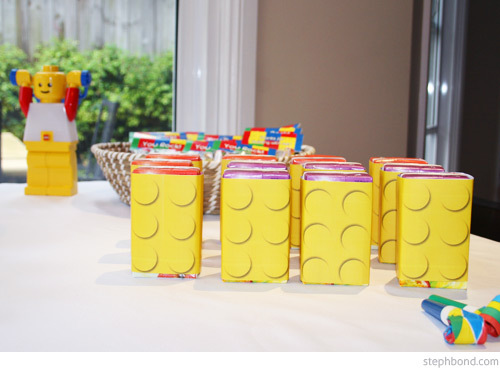 Tips: This was such a wonderful party, as all of the children truly loved Lego, and therefore completely engaged in all of the activities. Not to mention there were alot of completely engaged adults with big cheeky grins! 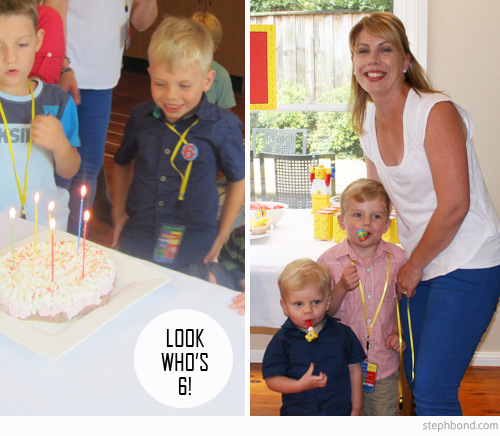 It was such a joy to host this party. 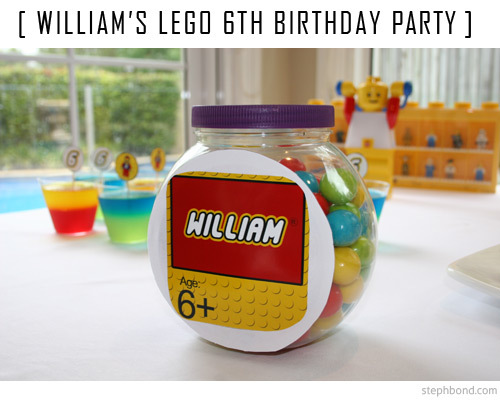 Something special: An entire afternoon building with his best friends - he was absolutely thrilled, so I suppose you could say the whole party was pretty special! 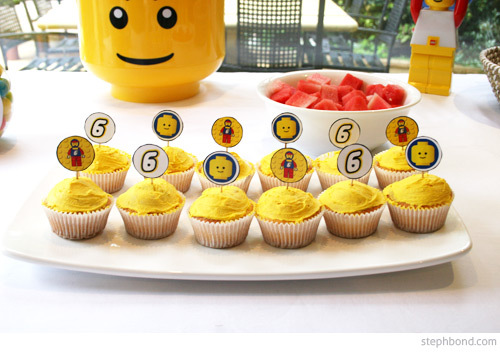 Thank you so much Danielle for sharing your Lego party with us. William and his friends look like they had a ball. For more great real Australian parties, click right here. I absolutely LOVE this party theme! Huge fan of lego, especially the Tehchnic range! 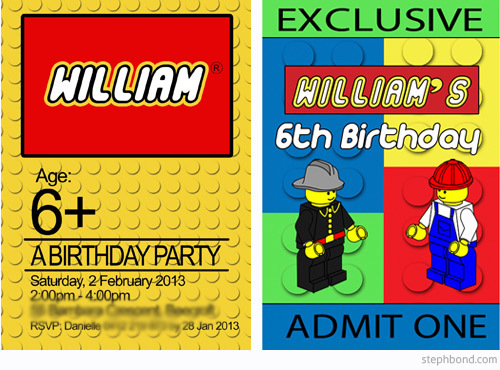 Adore the birthday invitations, stationery. 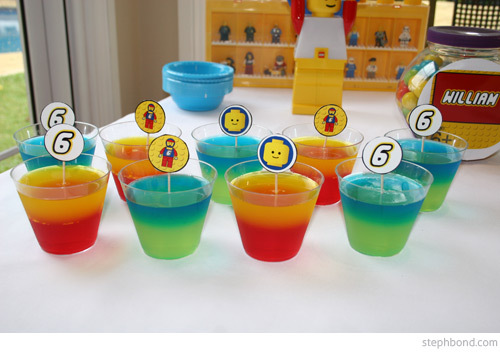 Bookmarking these for inspirations for my son's party! Hi, I really loved this party. What did you use for a race track? A table tipped on one side? How did the other side get held up?